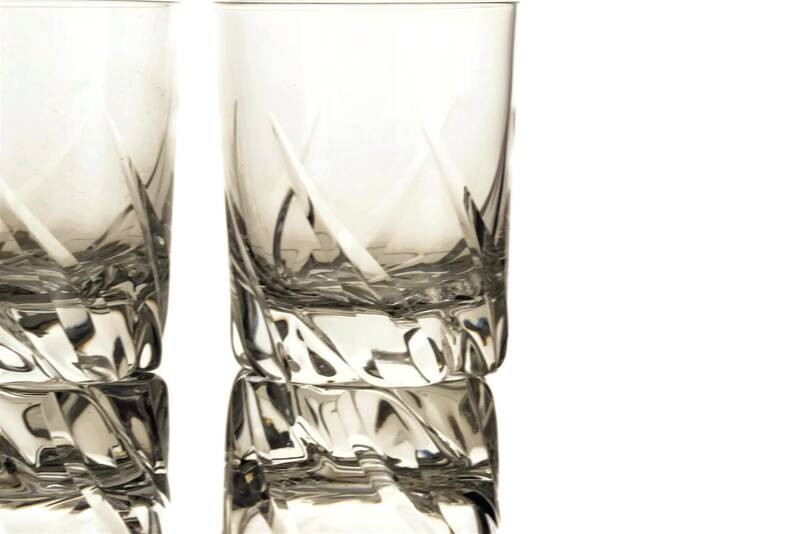 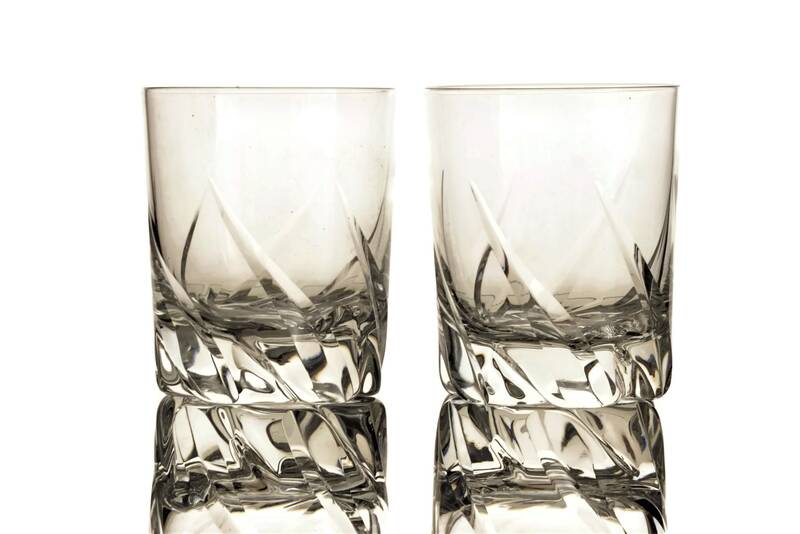 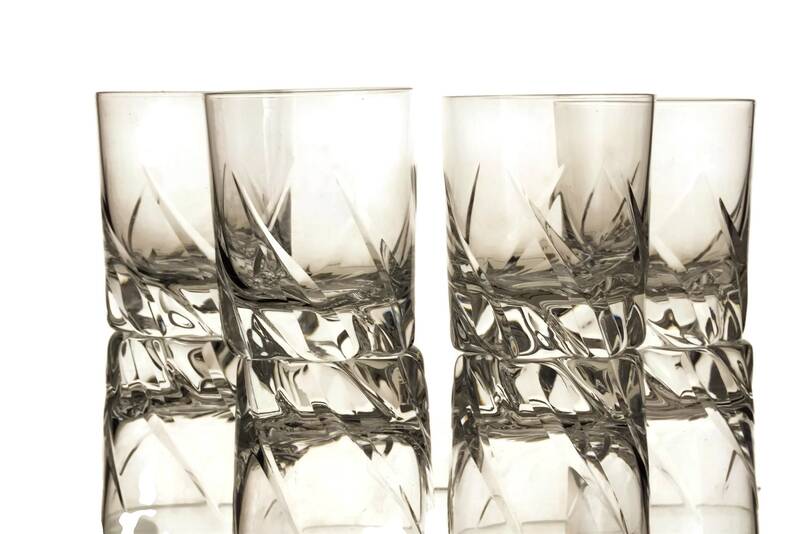 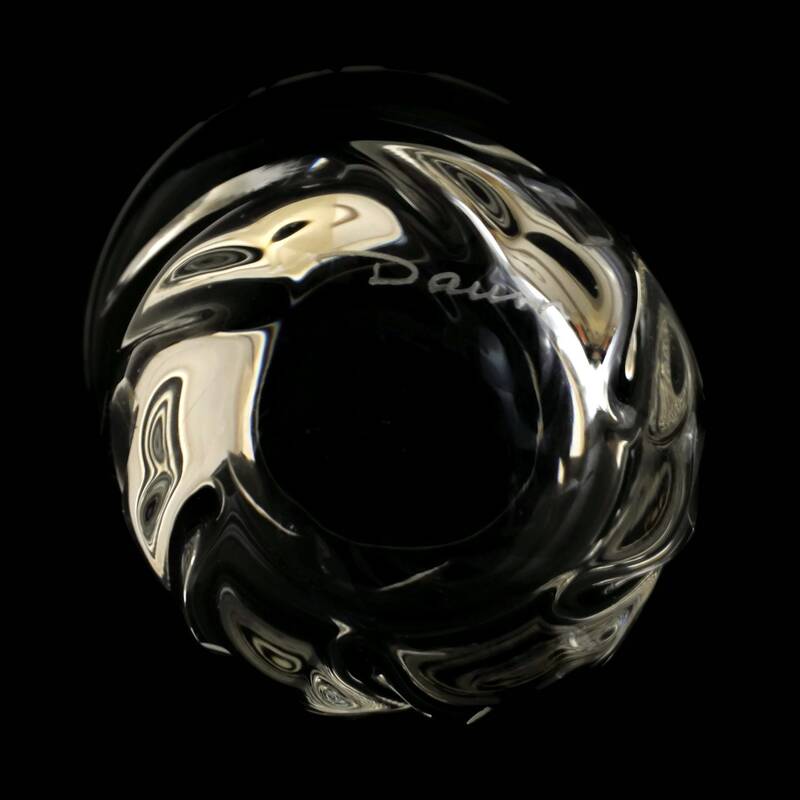 An elegant set of 4 Daum crystal liqueur shot glasses created in the 1970's. 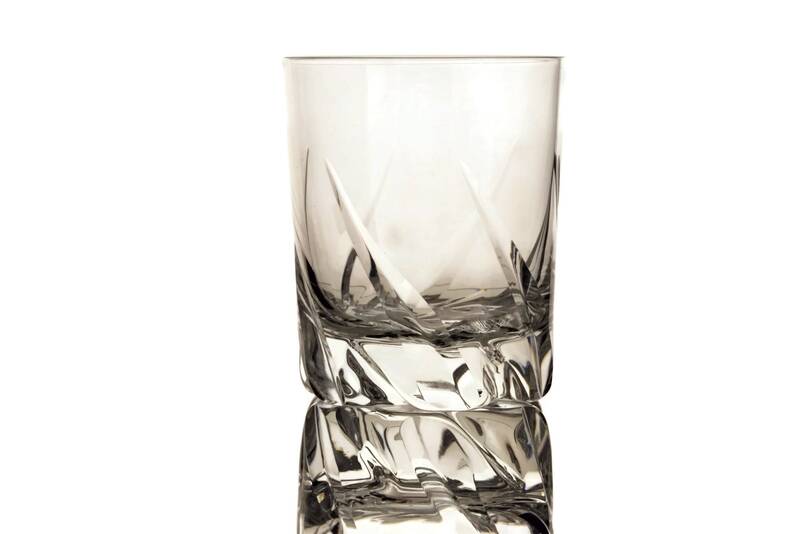 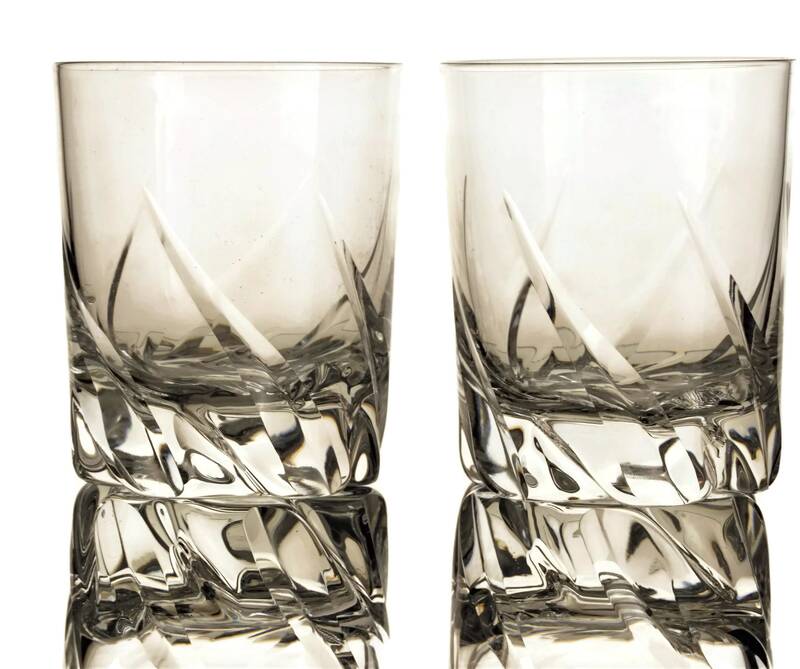 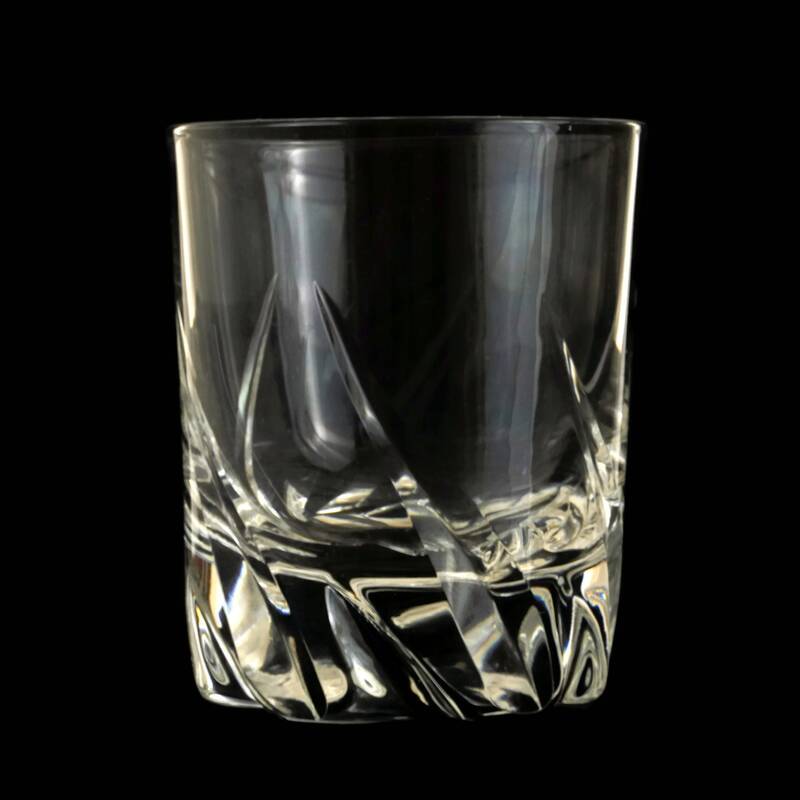 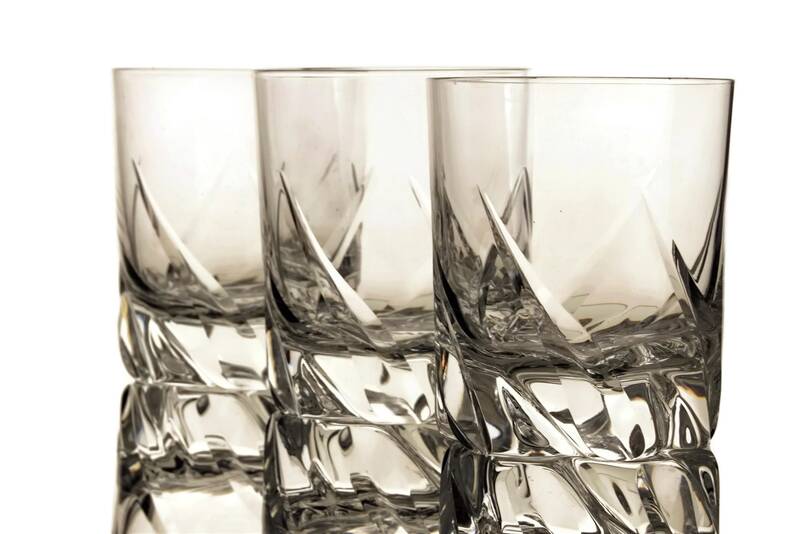 Each of the glasses has a classic shape and features a stylish hand cut swirl design around the base. 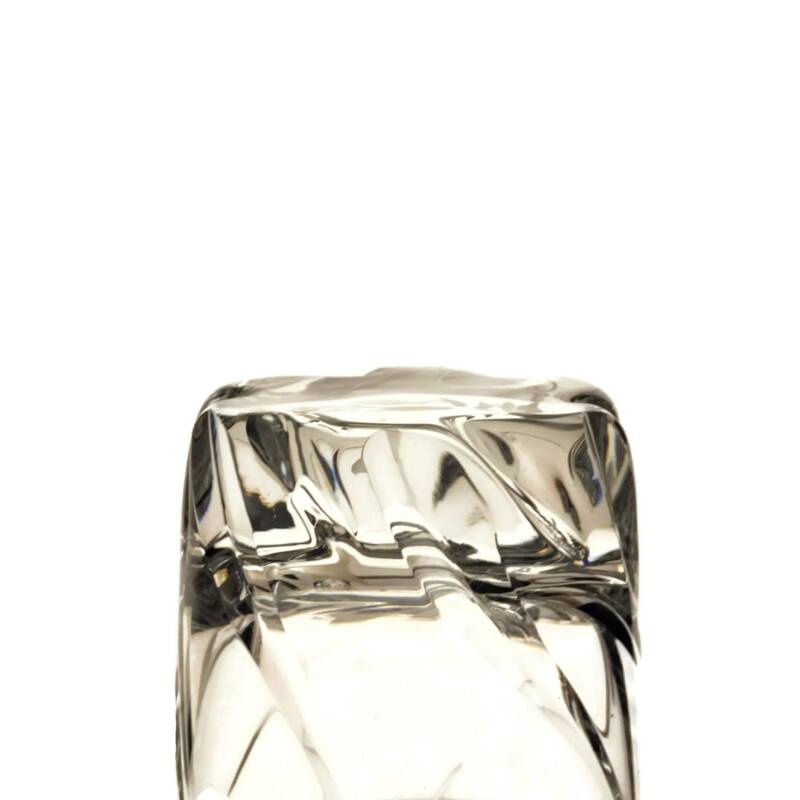 The set of Daum crystal liqueur shot glasses is in excellent condition.